Christmas ads of UK retailers: selling much? It’s that time of year… when consumers are actively seeking festive retail campaigns: from the wonders of department store windows’ designs to the Christmas magic-filled TV ads. Retailers, alike, are happy to oblige, keen to capitalise on one of the most valuable shopping streaks of the year. 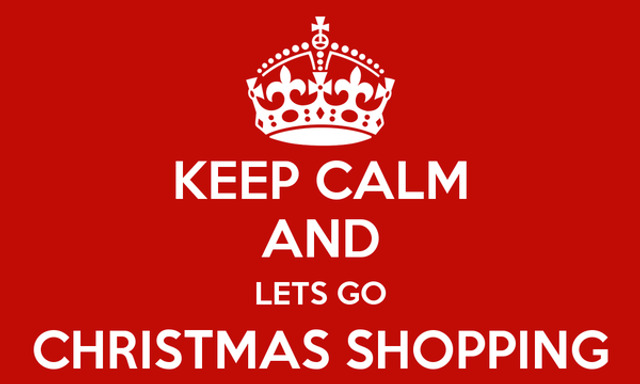 This holiday season’s battle for hearts and minds of shoppers is particularly interesting. The industry, estimated to be valued at £339bn in 2015, seems to have experienced a bit of a “seasonal flu” towards the end of 2016. UK-listed retailers are issuing profit warnings in Q3 2016 at the highest rate in five years, because of the price war on the high street and pressures posed by Brexit, according to the latest research from EY. Of course, the trend has been exemplified by UK retail restructuring announcements this year. What are Christmas ads targeting: hearts or minds? If you want the ad to be clever, original, grounded in human truth and strengthen the brand’s ongoing campaigns – you’d mainly be targeting minds. But a “clever” ad doesn’t guarantee customer spend. If you want customers to go “Aww…”, and spend money with you – without the ad necessarily being too original or true to the brand – you’d be mainly targeting hearts. Why? Because an estimated £800 per family spend on Christmas each year simply can’t be totally rational. Out of that amount, an average person in the UK is predicted to spend an estimated £280 on Christmas gifts this year alone, according to PWC. Real magic happens, of course, when a Christmas campaign targets both hearts and the minds. For me this year the closest came Budweiser’s UK Christmas “Don't be a pillock” ad with Helen Mirren. Tackling drink driving head-on in partnership with Uber, it is funny, witty, memorable, true to the brand and socially responsible – whilst still managing to make you crave a little sip of cold Budweiser. Some don’t feel like it’s a Christmas ad at all. And they are right – it’s been originally created for the Super Bowl earlier in the year, and subsequently creatively recycled to become a UK Christmas ad. Lidl: An incredibly smart “Turkey Farm” ad is hard to forget. Rather than tugging at our heart strings or trying to make us laugh, aims to challenge people's perceptions of the affordable supermarket chain in a logical way and to persuade consumers to disassociate its low prices with poor quality products. Viewers are invited to go visit Lidl’s turkey farm and see how free and happy those turkeys are before they end up on festive tables. It ends with a scene of celebratory glasses being raised over grilled turkeys that were happily roaming around a happy turkey farm just a second or two ago. The purpose, creative thinking, brand values are all there. A genius move from the brand strategy point of view. However, I'm personally curious to see whether this bold approach translates into consumer spending over the festive period. It may be hard to determine the financial rewards both retailers will reap this year. To be fair, irrespective of whether Christmas ads drive sales, are loved or hated – they are definitely much anticipated and talked about. And it’s exactly the sort of Christmas magic that every retail brand is really after.